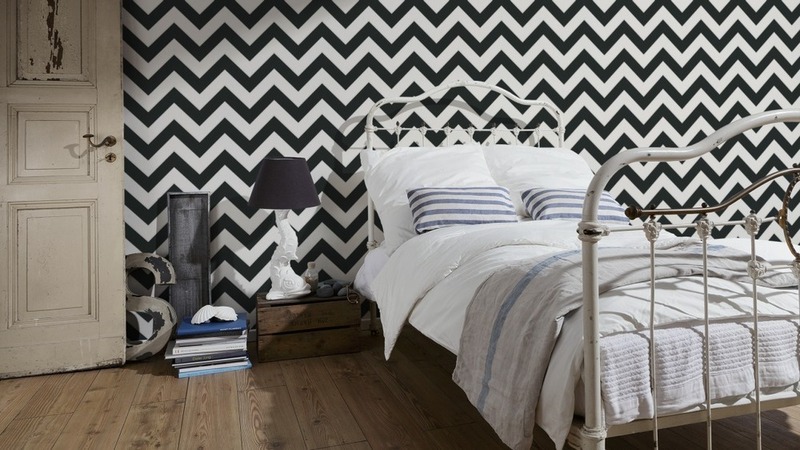 A bold black and white zigzag designer wallpaper. 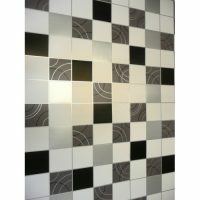 This chevron pattern is a large geometric design ideal to give your room a futuristic look whether it be a striking feature of your room at home or another venue that needs a modern revamp. It has a glossy mica white thin line that separates the black and the white. 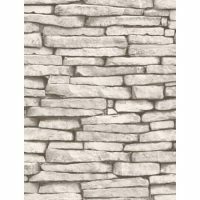 This is a paste the wall wallpaper so no paste table required for an easy, clean job.